By Helmets Ltd. Stores reference 22c/1252962. Mk.1A stressed chinstrap for the MK,1A bonedome. This is the second pattern 'modified' strap introduced in 1962. 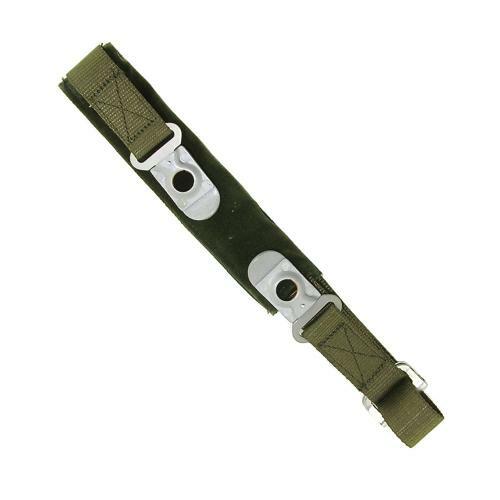 Manufactured in green nylon with velveteen/felt pad, plated buckle and strap connector plates. New unused old stock with box of issue (originally contained five, one remains). 1973 dated box. Stock code H21110.